Nier Automata, the new entry in the series by Square Enix, is now very close to release, at least in Japan, and the publisher is doing everything possible to remind players the action game developed in collaboration with Platinum Games is releasing soon. A few hours ago, a brand new trailer has been made available, showcasing plenty of interesting sequences. The new Nier Automata, named Glory to Mankind 119450310, showcases a mix of dramatic story sequences and intense combat ones that will make fans of the series even more excited for the game. 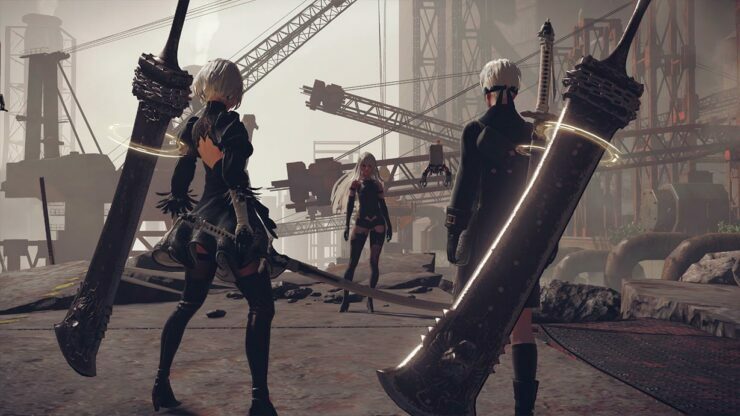 Watch the NieR: Automata “Glory to Mankind 119450310” trailer to find out more about androids 2B, 9S and A2 and their battle to reclaim the machine-driven dystopia overrun by powerful machines. If you want to learn more about Nier Automata, it’s now possible to download a playable demo from the PlayStation Store. The demo also includes PlayStation 4 Pro support, which makes the game look better with improved anti-aliasing, full 1920x1080p resolution, better texture filtering and more. Nier Automata launches next month in North America and Europe on PlayStation 4. The game has also been announced for PC, but a release date for this version of the game has yet to be confirmed.